Only a few days ago we gave readers news about the Chuwi eBook tablet that is available in India. Now another tablet from the company is on sale for buyers in the US and elsewhere. The Chuwi Hi8 Pro has a sub $100 price and is a Windows 10 tablet. Its current price represents a 61% price saving from the regular price. The Chuwi Hi8 Pro price for US buyers is currently just $95.23 although the regular price was listed at $245.94. This new low price makes this a very affordable choice for those looking for a Windows 10 slate that don’t mind that it’s a fairly low-end device. The seller also ships to many regions worldwide, so for example the UK price is Â£62.64. Simply select your country at the top right of the GearBest product page source below. The tablet is equipped with a 1.44 GHz Intel Cherry Trail Z8300 64-bit quad-core processor, and Intel HD Graphic Gen8 GPU. It has an 8-inch IPS display with resolution of 1920 x 1200, and further specs of the tablet are 2GB of RAM and 32GB of internal storage (expandable). There’s a 4000 mAh battery, and it runs the Windows 10 operating system. The Chuwi Hi8 Pro has a 2-megapixel camera for both the front and the rear. Further support includes USB Type-C, USB OTG, WiFi 802.11 b/g/n, Bluetooth 4.0, and HDMI output. The GearBest price of $95.23 is correct at the time of writing. It’s in a white color and shipping is listed as between 4 and 10 days. 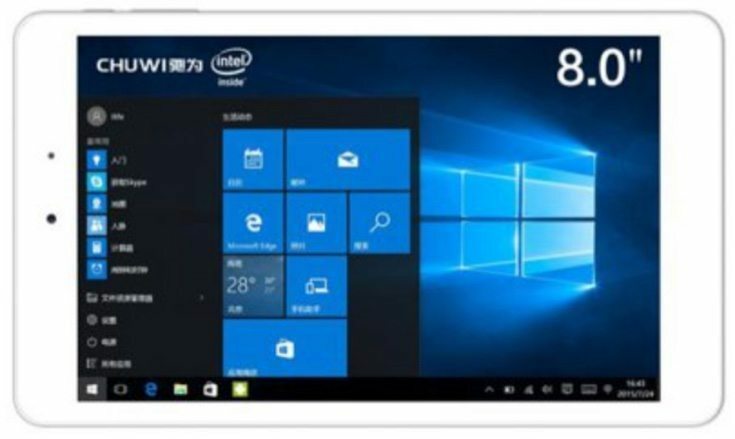 Might you purchase the very affordable Chuwi Hi8 Pro Windows 10 tablet?